Home » How to make » How to make a triple layer rosette flower. 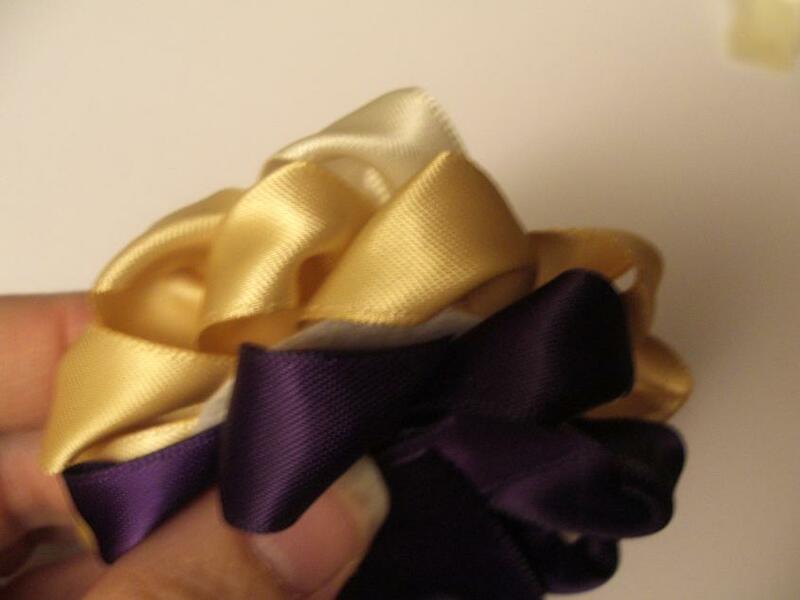 How to make a triple layer rosette flower from double sided satin ribbon. Rhinestone button with shank removed. 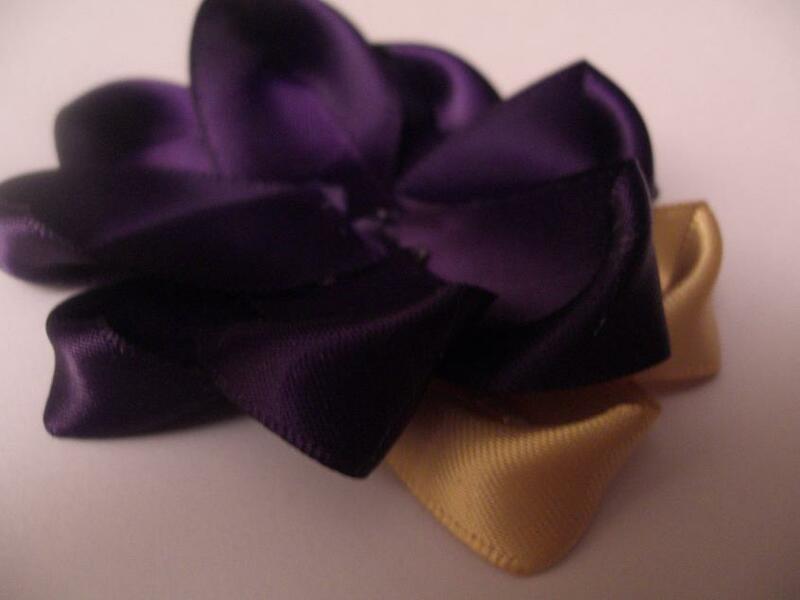 Cut your 16mm double sided satin ribbon to 8cm long. 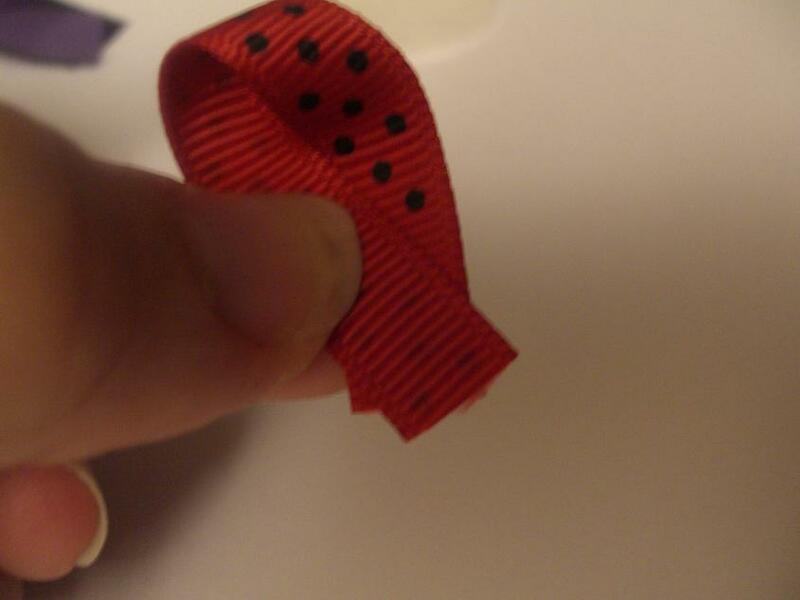 I did not seal the ends of the ribbon as they will be glue and covered with felt. 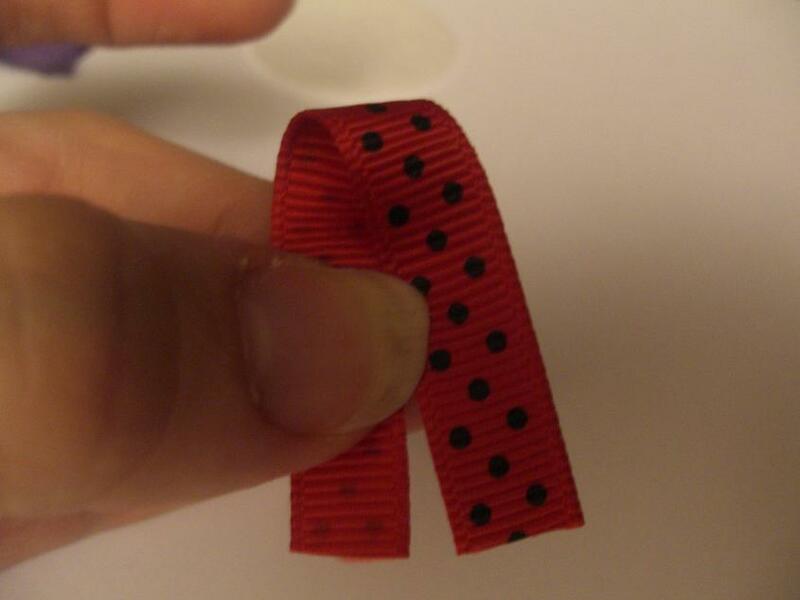 Easiest way to show you how to fold the ribbon is with printed ribbon. Fold over in half. 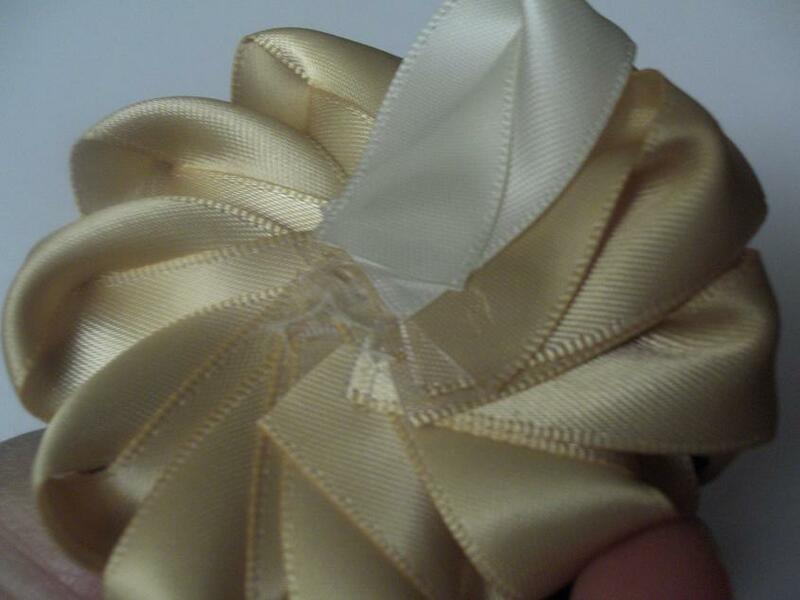 Then tuck the top ribbon behind and glue in place. 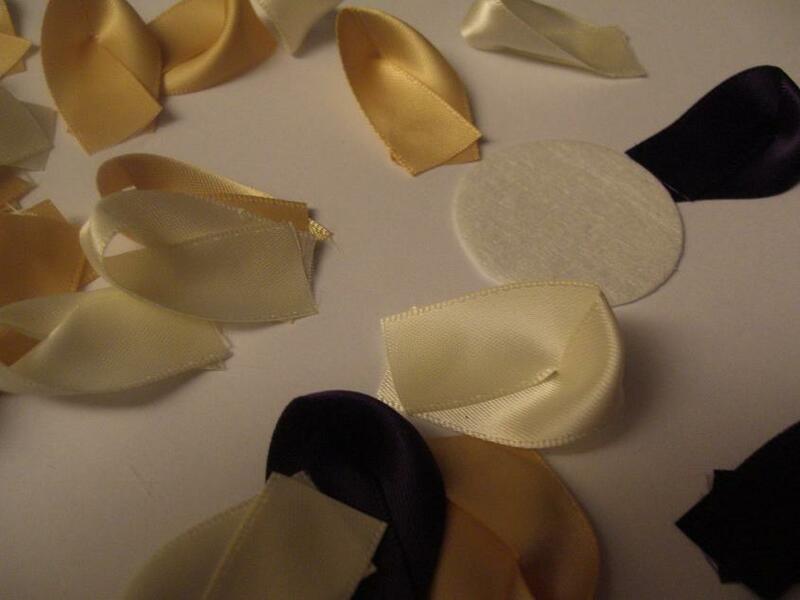 Fold and glue all your ribbon lengths as per the above instructions to create your petals. Use 1 felt circle as a guide to make a circle. 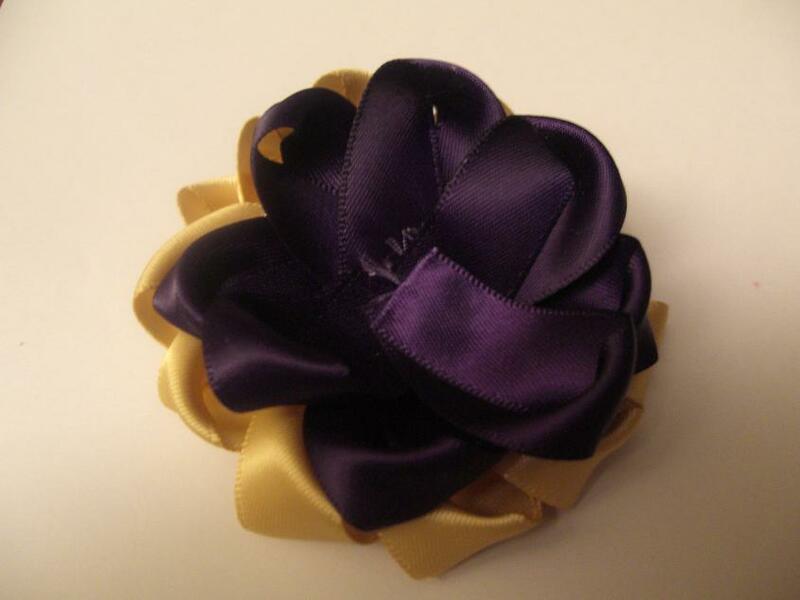 Glue down your first 4 petals to make a cross. Than fill in the spaces with the remaining petals. You now have your first layer. 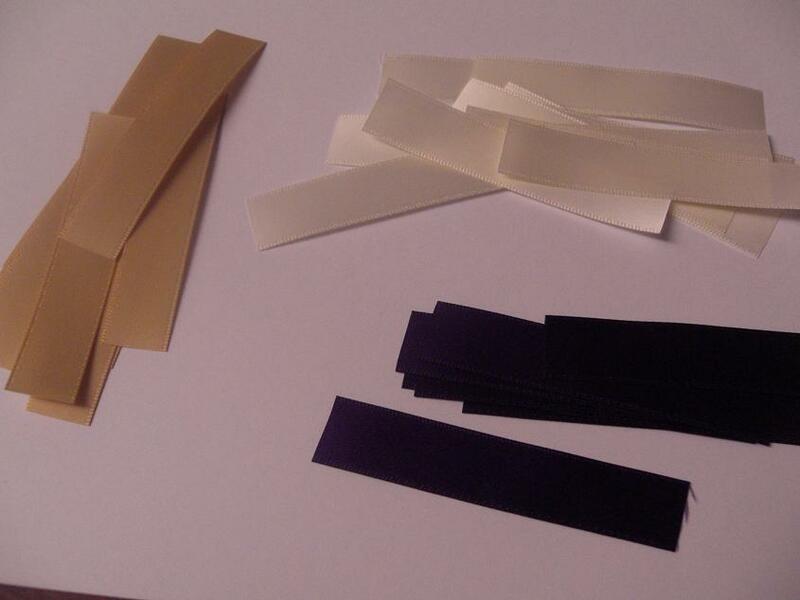 Place your second layer under so it just sits out a little and glue down. Glue each petal down until you have competed the circle. Repeat with your final layer. You may need to trim your felt circle. Here is the back of the flower as I start my final layer. 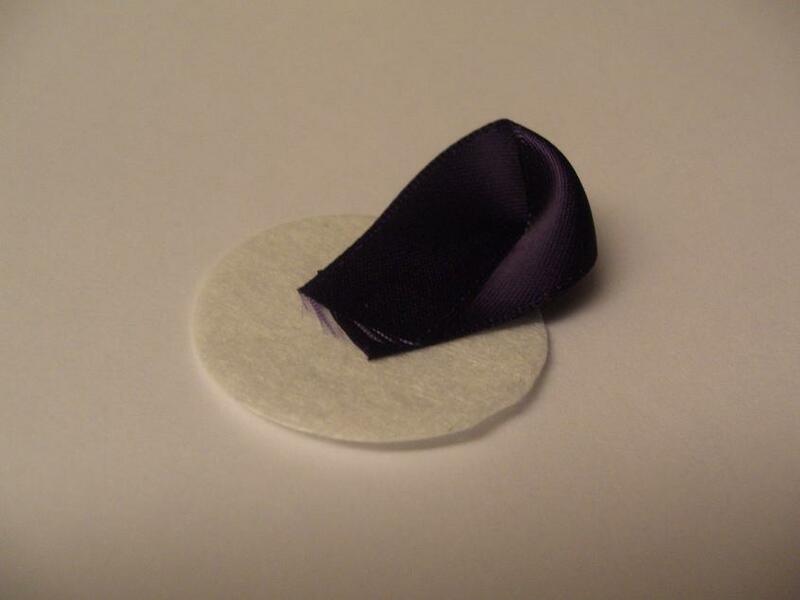 Continue around the circle and than glue a felt circle to the back and a rhinestone button in the centre. Thank you for taking the time to read my instructions I hope you found them helpful. If you would like to share please link to us and share 1 photo only. DO NOT COPY the full post. 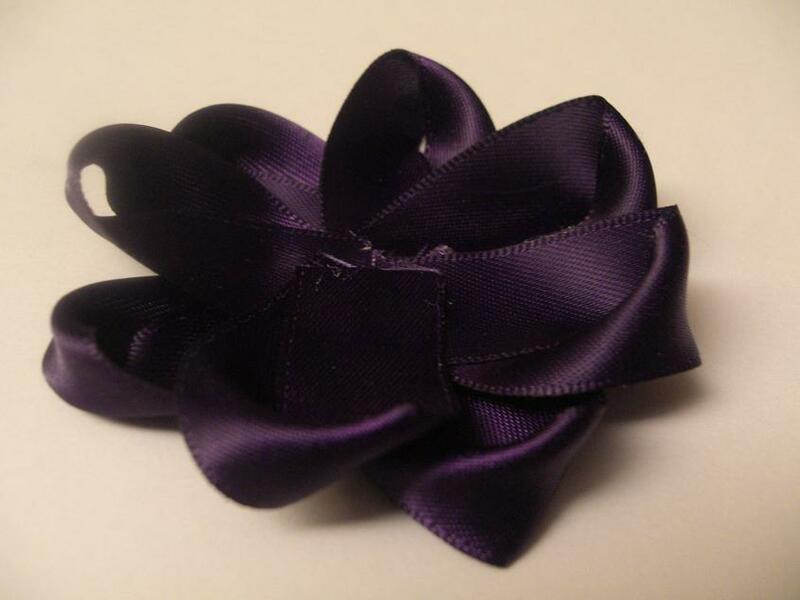 Think Bowtique can supply you with your satin ribbons, grosgrain ribbons, headband elastic’s, fabric flowers, tulle, embellishments and more all here in Australia.